I found an error in the new PSG2013 above. Toroid information for the types between TC6.3 to TN29 is missing for the materials 3E27 to 4C65. After reporting this twice I got NO reaction at all. The information can be replaced with the info on pagenumber 91 from the previous PSG2003 (In the PDF page 92). As one extracted page it can also be found here. Born out of research done in 1930 by Dr. Yogoro Kato and Dr. Takeshi Takei. now also the EPCOS Products (ex-Siemens) potcore program! In cooperation with Amidon Ferrite Cores and Beads, Balun cores, Coil forms, Iron Powder Inductor Material. Also traded by Amidon! Micrometals Powdered Iron Cores mostly for Power Conversion Applications, also toroids for RF applications available. Also traded by Amidon! See also a combination of the Arnold and Micrometals program further down. Ferrite Cores and Beads, Balun cores, Coil forms, Iron Powder Inductor Material. Magnetics Ferrites, Powder Cores, Strip Wound Cores, Metals. Group Arnold Group Arnold makes mostly HARD Magnetics. But also Metal-powder Soft Magnetics, however, this part is sold to Micrometals. See next item. LINK to the Spec sheet from the Nickel Irons and Soft magnetics page. Micrometals / Arnold Group Arnold (above) makes mostly HARD Magnetics. The Soft Magnetics Metal-powder division is bought out by Micrometals. Now with its own web page! Directly to Ferrites Ferrite Toroids, Balun Cores, EMI suppression cores, Transformer Cores, multi-hole ferrite plates for connectors. Ferrite Toroids, Balun Cores, EMI suppression cores, Transformer Cores, multi-hole ferrite plates for connectors. 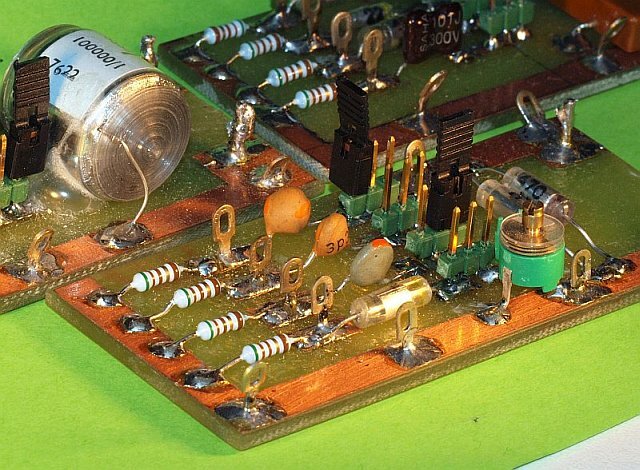 Original English website withdrawn After Siemens/Epcos aquired Pramet Šumperk ferrites in 1999 to make the Siemens cores they still make today their own (secret??) Fonox line of ferrites that doesn't fit in the new TDK/Epcos program. Those cores that are still in stock are distributed NOT by Pramet or TDK/Siemens/Epcos, but by DOE s.r.o..
here, it looks like the former bi-lingual Siemens or Neosid catalog! Inductive Components for Energy (switch power) and power corrector applications. But NO ferrites! The toroids are NOT made of ferrite but - as the name suggests - are glass-like crystalized metals. 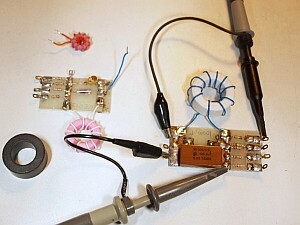 The are NOT suitable for RF, but ideal for (low freq.) transformers and filters!! Link to Cores and Accessories page. Molybdenum permalloy powder cores (MPP cores) = Low AL value and High flux powder cores. Also info available about standard Manganese and Nickel Zinc ferrites. 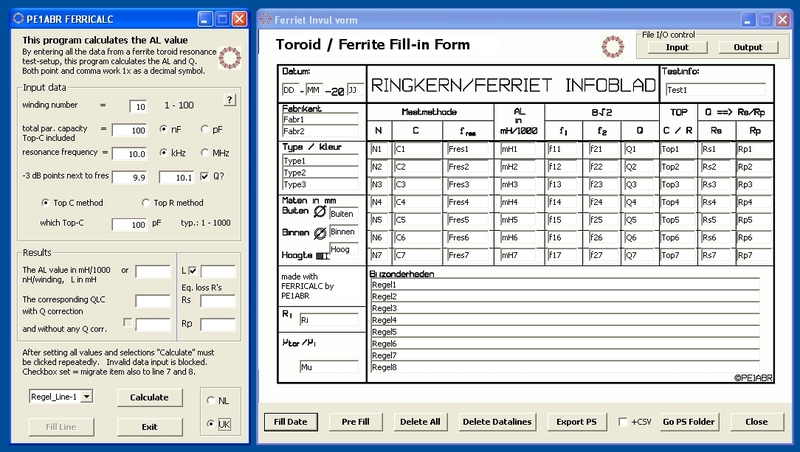 For the latest version of the catalog goto here to the new ferrite products page with PDF sub-sets. With the menu left you can go to other sub-sets. Lastly sold to TAK Taiwan No Ferrite cores, Bobbins, Hardware anymore! acquisition of AVX-Kyocera TAK TECHNOLOGY Co., Ltd., Taiwan, R.O.C. Cores manufacturer, has put special effort in the research and development of SMD cores with high AL value. LINK to ferrite products page. The name of the Company ISKRA FERITI, d.o.o. has been changed. Unfortunately you have to make a simple login account to obtain more information. One direct LINK to a PDF file with product overview. LINK to the documents download page. LINK to Mn-Zn and Ni-Zn Ferrites Properties. Essentra Components Richco specializes in fasteners, circuit board hardware, wire routing products, cable ties, clips, clamps, fiber optics, and telecommunication accessories. But also EMI suppression ferrites! Richco offers a wide variety of ferrite cores to solve all your EMI/RFI problems. Our range extends from solid, split ferrite for round and ribbon cable, to Surface Mount Devices (SMD) Ferrite chips, beads and inductors. Direct LINK to the Dutch ferrite page on the NL site. Germany Manufacturers of magnetic powders, magnets, hard (!) 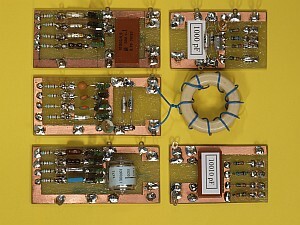 ferrites and magnet systems. I can't find any SOFT ferrites anymore. Hitachi Metals America (Soft) Ferrite cores, although there is more activity in the hard ferrite (magnets) production. Earlier name: Sumitomo Special Metals Co. Mainly ferrite magnets and ceramics. Permanent magnet operations merged with Hitachi Metals to form NEOMAX CO.
all weblinks disabled, for reference only !! LINK to products page, click left on an item. Go to the new product page to see an actual product range. EMI Core page with MnZn and NiZn core information. Sahibabad (U.P.) - India moving away from ferrites and more in application devices. Ferrite link A Single source for Magnets, Ferrite Cores and Magnetic Products. Manufacturer and supplier of high quality ferrite magnets and Cores. Use navigation links left at HUOH YOW site to see additional information. Chia Pi Electrical Co Out of business?? China Marque Magnetics Ltd. of New Zealand invested in Tianjin Huigao, forming a joint venture with Tianjin Company. LINK to Huigao ferrite cores info page. Marque Magnetics Ltd. of New Zealand invested in Tianjin Huigao, forming a joint venture with Tianjin Company. 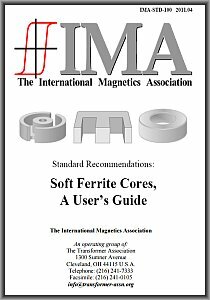 LINK to Marque Magnetics Custom ferrite cores info page. Iron Oxide powder and Ferrite cores. LINK to products info page. LINK to ferrite core materials page. Yeng Tat Electronics Co., Ltd.
Taiwan, R.O.C. The main product of the company is Ferrite Cores, specialized in NiZn as wel as MnZn ferrite cores in many shapes. PDF's are only Acro7 and higher compatible. Singapore Soft magnetic powder cores. The soft magnetic materials available from Infantron include the molybdenum permalloy powder cores (MPP cores), High flux powder cores and Sendust powder cores. LINK to Product page on Infantron Singapore site. China (PRC) Ferriwo Electronics makes soft ferrite materials in 33 kinds of compositions, and makes more than 3500 different kinds of soft ferrite cores including MnZn and NiZn materials. LINK to the products page. Make your choice in the top bar or use one of the links given below. LINK to the MnZn Cross Ref List. China (PRC) Hard Alloy's, Battery's, Hard Ferrite Magnets, Ferrite Powder, and ... Soft Ferrite Core's in high and low permeability. LINK to Soft Ferrite products page and material info. LINK to inductors products page. Chinese (Guangdong) Holding Guangdong Fenghua Advanced Technology (Holding) Co., Ltd.
English language website unstable / not finished. representative DMEGC Fericor is an European sales and technical representative of the Chinese company DMEGC. Hard Alloy cores, Hard Ferrite Magnets, Ferrite Powder, Soft Ferrite Core's in high and low permeability. LINK to Ferrite products page, click left for window refresh. Some links go directly to DMEGC. Link to Electronic materials ZHEJIANG TIANTONG ELECTRONICS CO..LTD.
develops and manufactures MnZn and NiZn based soft ferrite cores. LINK to Soft Ferrite Materials PDF Information. LINK to Metal magnetic powder cores. (page version 2) Yuxiang Magnetic Materials Ind Co Ltd. Magnetic products which are focused on the power supplies, telecommunications, computer and consumer electronics products industries. China Ferrico Corporation is an expert manufacturer of ferrite core products for EMI solutions. Taiwan Superrite Electronics Co., Ltd. main products: all sorts of Magnets - Ferrite Cores (Ni-Zn & Mn-Zn Ferrite) - Varistors a.s.o. 1) HUZHOU CAREFUL MAGNETISM CO.,LTD. 2) HUZHOU KEFENG MAGNETIC INDUSTRY CO., LTD.
Manufacturing all sorts of magnetic iron powder / ferrites and finished products. Now found under CIfeng, former under KEfeng? 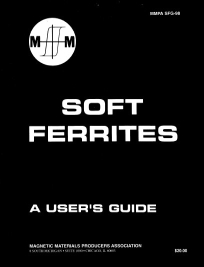 'Soft ferrites, a users guide' (MMPA SFG-98) is an old publication from the International Magnetics Association, in PDF format. Details are given of advantages, limitations and applications of soft ferrites in magnetic devices; processing; materials and geometries; and core calculations and test procedures. A glossary of terms is provided together with appendices of magnetic design formulae and ferrite material constants, conversion tables, and wire tables. The original server link doesn't exist anymore. Meanwhile a newer 2011 version can be found on their site, but also with new OCR artefacts. And a backup copy on the PE1ABR server. 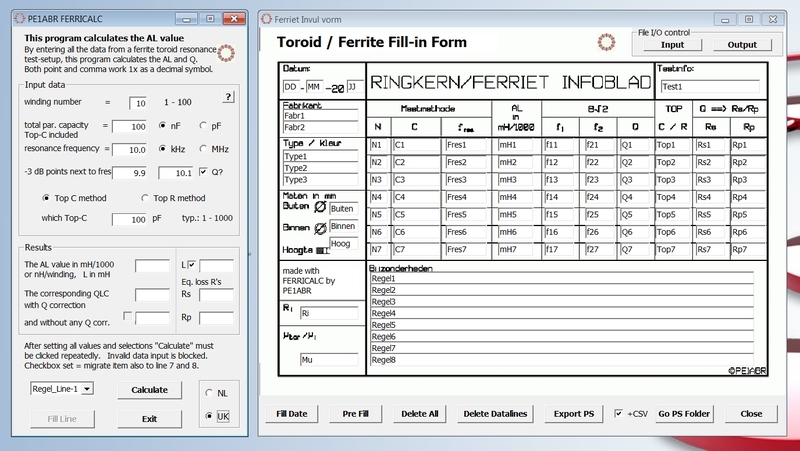 Only recently found : the most wonderfull toroid design program I've ever seen! If the link is changed, try main URL left. My own AL calculation software!! The VB6 view of the program window in XP. My own VB6 ferrite calculation program to get the AL value from unknown toroids. After a resonance test put the data in the program, you directly get the AL and Q results. It works with both a TOP-R as a TOP-C signal feed. Now version 3 which has an embedded documentation module in a separate window. Click for total XP or WIN7 screenshot. Results are patched from the calculation window to a line in the document window. The VB6 calculation program FERRICALC in a ZIP file together with the postscript overlay in Dutch and English. Rename the version you need to the standard name (RINGBLAD3.PS). The results are patched as an EPS print-overlay in the original (renamed) example PS print file. This *.PS file should be available in the same folder. It is programmed with line drawing commands in postscript code. There is a Dutch and English version available. Also for the fill-in sheet. Click ZIP icon to get the VB6 runtime and OCX files for FERRICALC if needed. and how to make the measurement test setup and all other details.